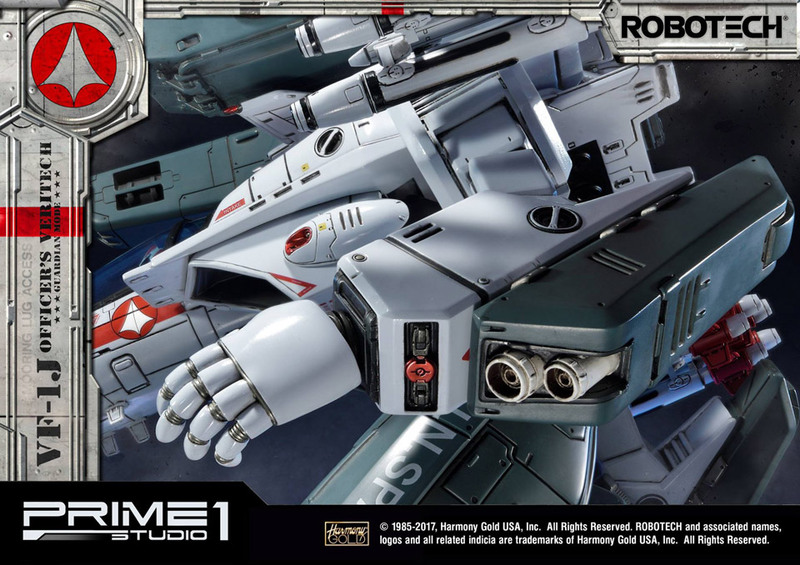 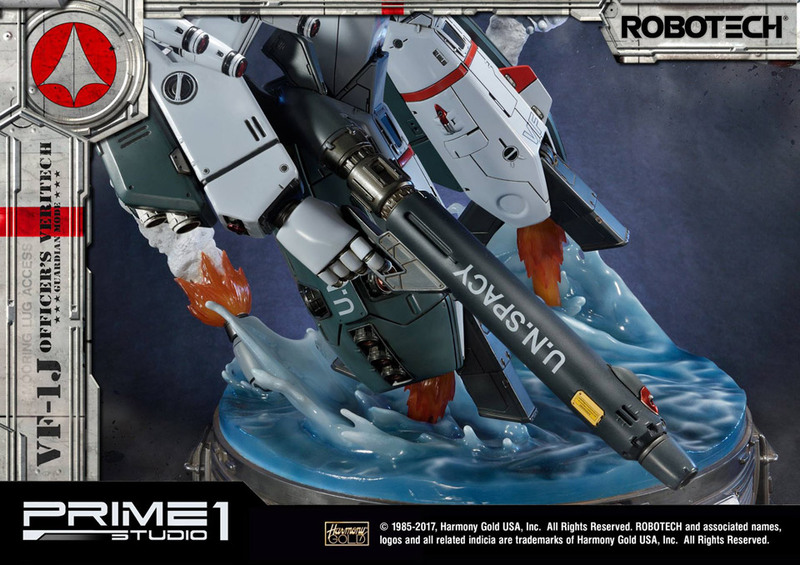 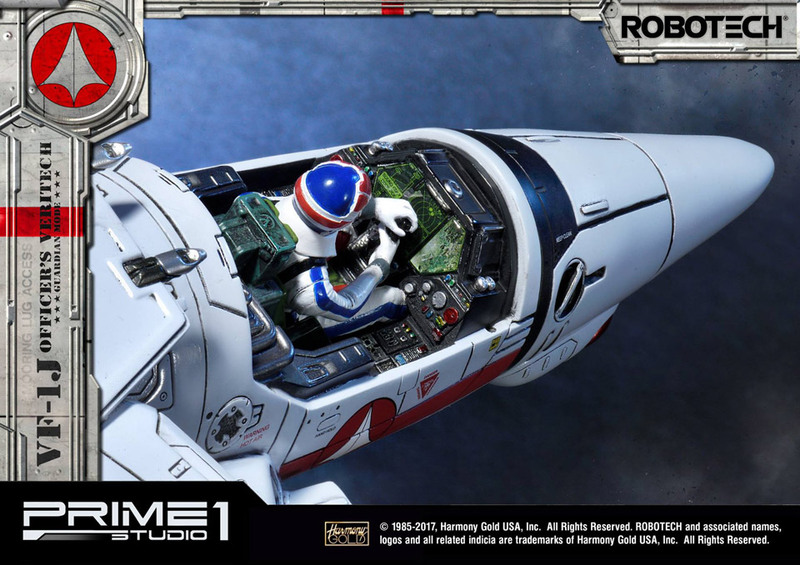 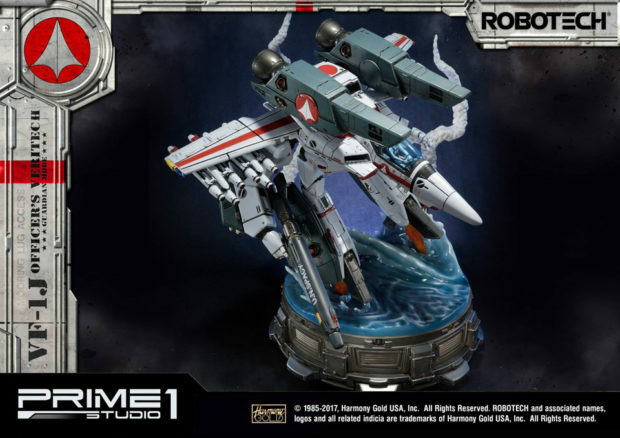 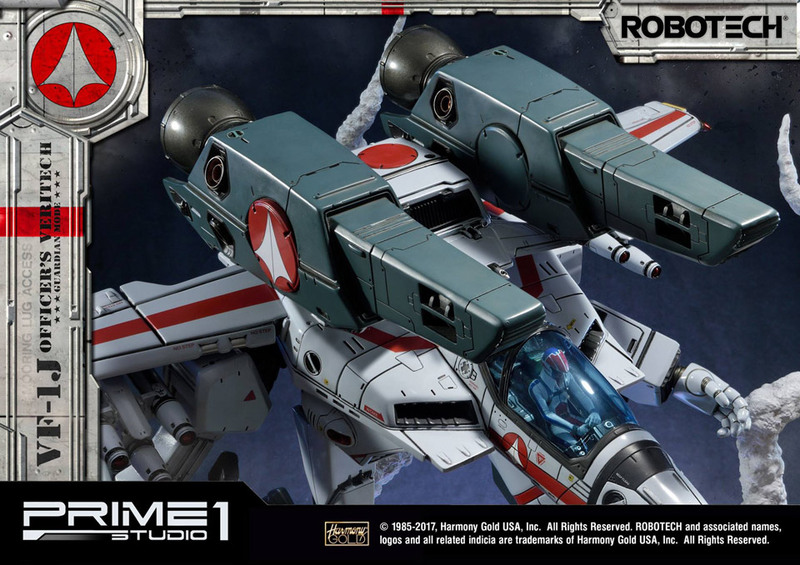 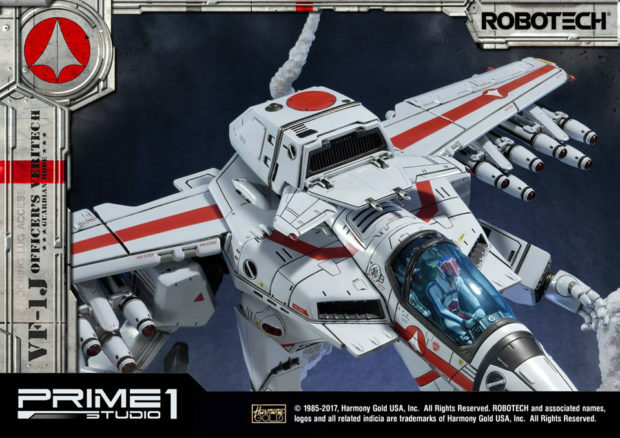 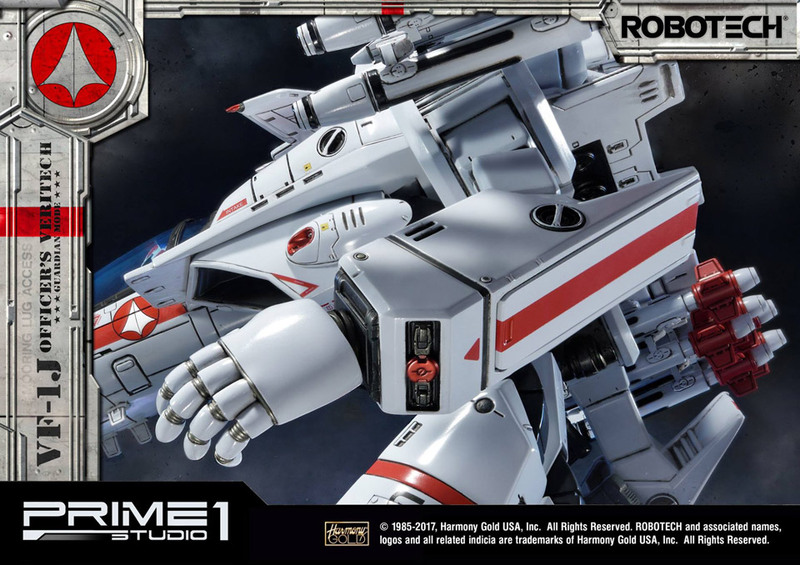 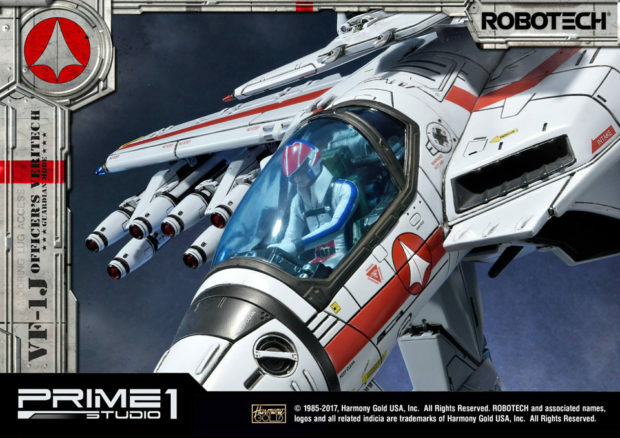 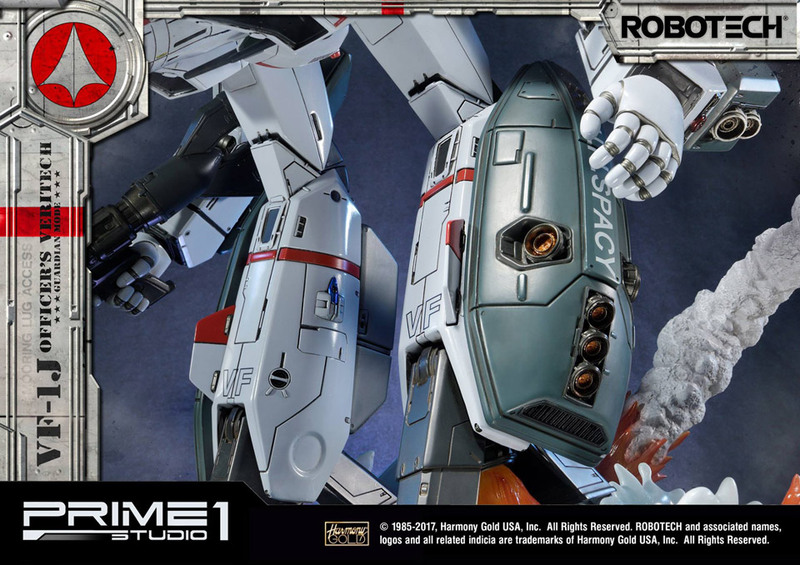 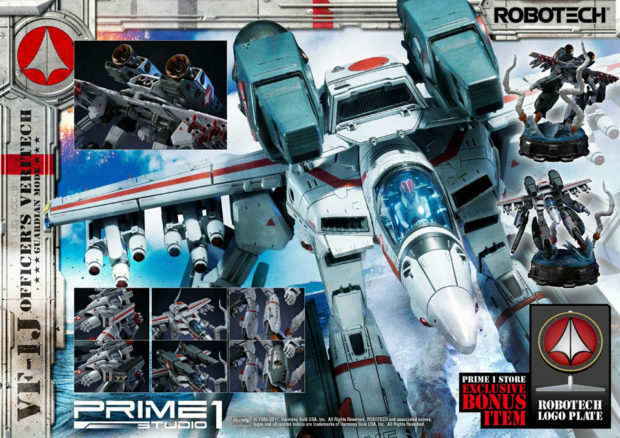 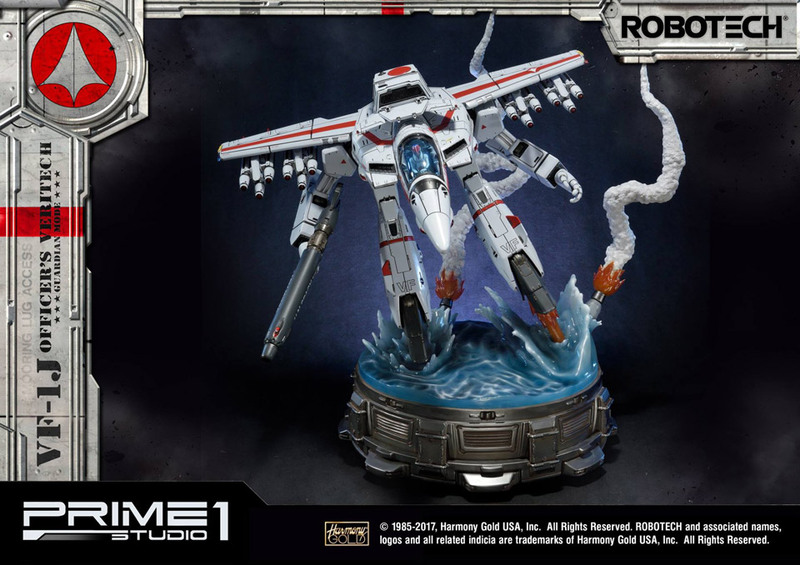 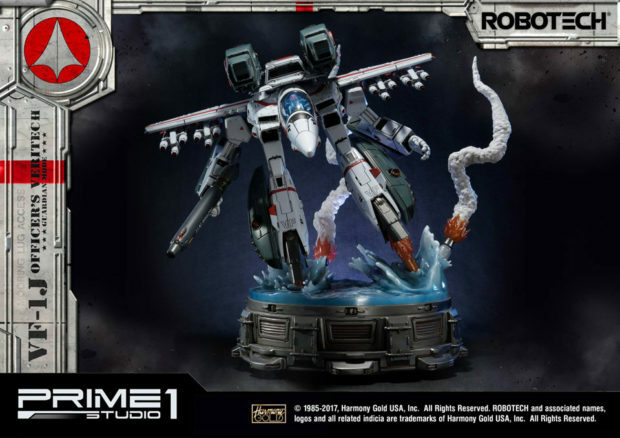 Prime 1 Studio is giving Robotech fans something to add to their Holiday wishlists. It’s a huge and imposing statue of the VF-1J Valkyrie in Guardian mode. The transforming fighter jet is depicted just above water and narrowly evading a missile. 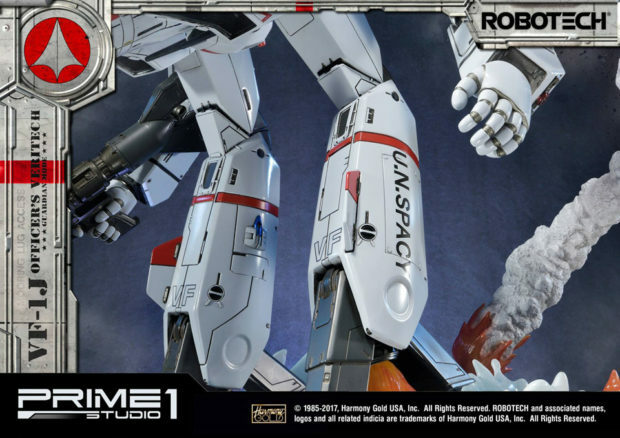 The pictures don’t do its size justice, but the statue is an incredible 33″ tall, 32″ wide and 30″ long. 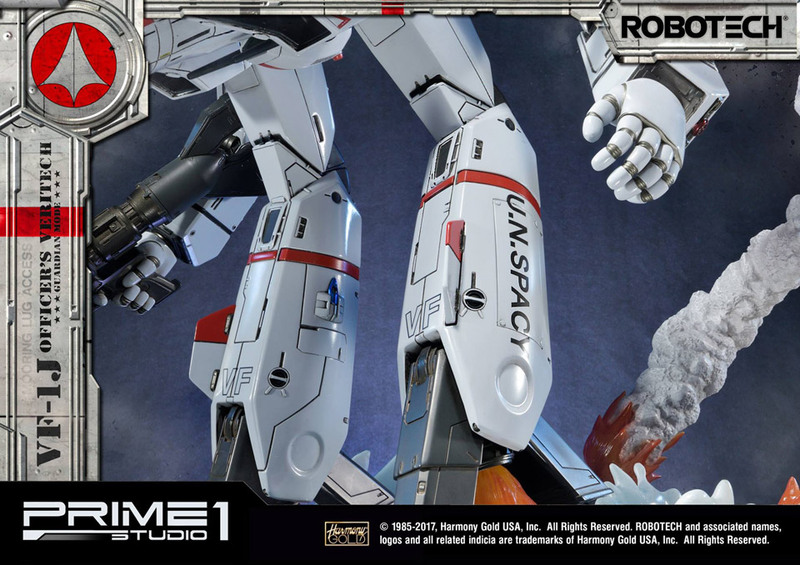 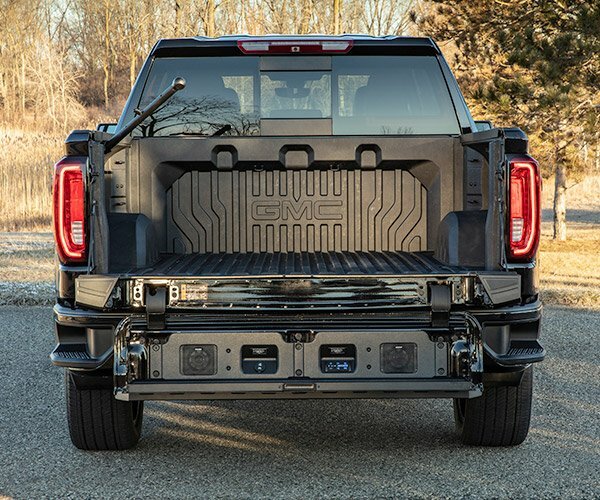 It comes with a detachable FAST Pack system that you can attach to its back, arms and legs. As with all Prime 1 masterpieces, this bird’s got details for days. 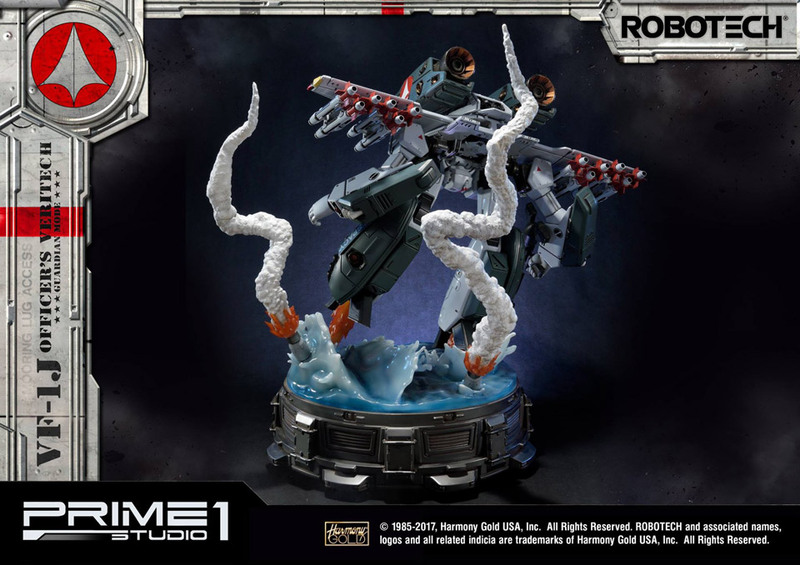 Transform into your mode with the least self-control and fly to Sideshow Collectibles, where you can pre-order the statue for $1499 (USD).